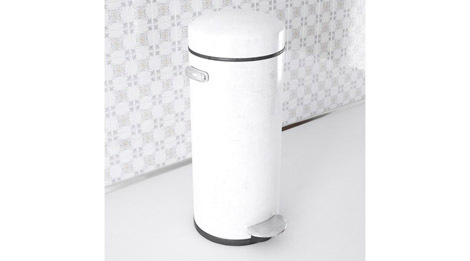 Today we present through the 3D library blog, the 3D model of a vintage trash can. A garbage can is a container with a lid for household refuse (of a building, a house). The term garbage was born in 1884 and comes from the name of its eponymous inventor, the prefect of the Seine, Eugene Poubelle. On March 7, 1884, under the Third Republic, the Prefect of the Seine, Eugene Poubelle signed a prefectoral order concerning the removal of household refuse, to combat the piling up of waste in the streets of the Paris region. This decree obliges the Parisian owners to provide each of their tenants with a container destined for their household garbage and provides that: “From now on, garbage will be collected by means of a receptacle of wood packed inside iron White, so that nothing can escape. These containers may also contain hot ashes without risk of fire “. Available for sale in formats: max, c4d, obj, fbx, mental ray, advanced render, v-ray.